The newest Salming indoorshoe is an unique combination between lightweight material, cushioning and stability. 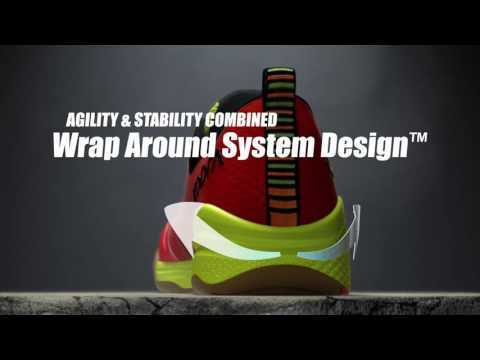 The new Wrap Around System offers freedom of movement while retaining the stability. The rubber composition offers cushioning and grip.